We absolutely love this guy! Yoyo walks pretty nicely on leash. He loves to show off his sit and shake skills, and also comes when called. Yoyo treats gently (and boy does he love treats). He enjoys being pet, and leans in for more. He’ll even give you a few kisses. All around, Yoyo is an easy going guy with some training already under his belt. Yoyo’s owner surrendered him to the shelter, but did not indicate why. He lived with children aged 5 and 6 years old and also lived with other dogs. He is a very handsome, gentle boy. 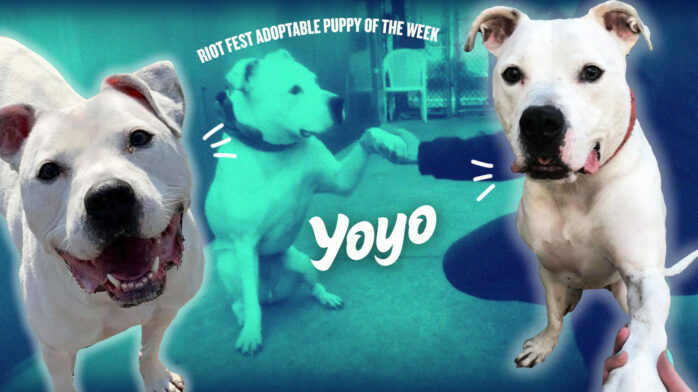 Yoyo deserves a true forever home where he can be the family member he was meant to be.